I have been obsessed with the stars and space for a long time. I couldn't tell you much scientific stuff about space, but it's just so beautiful. 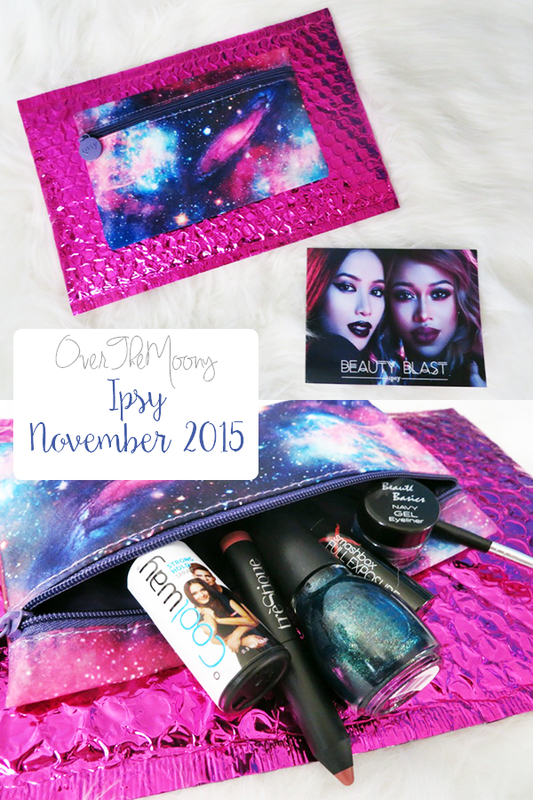 When I saw that ipsy's November theme was Galaxy, I was so excited! The bag itself was good enough for me. This will definitely be a staple in my purse! And now let's jump inside. This is the Coolway Strong Hold Spray. According to the instructions, this can be used on wet or dry hair for an extra hold. The packaging made me laugh, I have to admit. It just looks so 90's. It really is making a comeback. This is the Smashbox Full Exposure mascara. I have tried this before I absolutely love it. I haven't used it in a while since I get so many mascara samples that I'm rarely hard pressed to have to actually buy a mascara (save the CoverGirl Star Wars mascara but that was solely for packaging reasons). I'm looking forward to getting to use this again! This is the trèStique Mini Matte Lip Crayon in Florence Fig. I have received one of these before and I think the packaging is super cute and the formula is really comfortable. This is the Sinful Colors Nail Polish in Kissy. I like this brand and I love polishes that are duo-chrome like this. There is so much going on and I was trying so hard to get a good picture to capture it all but it was pretty impossible. Take my word, it's just really pretty! This is the Beauté Basics Navy Gel Eyeliner. As you can see, it comes with a little brush but I'm not crazy about it. It's pretty flimsy and the hairs started to separate when I tried to use it. I'm a fan of a stiffer, shorter brush when applying gel liner since I feel like I have more control over the application. The formula is a little on the sheer side but seems like it can be built up. These are the swatches of the Mini Matte Crayon and the Gel Liner. As I mentioned, the gel liner needed some build up to get a nice swatch but I think it's a really pretty color. This could even just be nice as a base for a blue smokey eye since blue shades can be a little difficult with patchiness. I think the lip crayon is a nice, neutral shade that can work on anyone. And that's it! I honestly think this might be my last ipsy bag unless I missed the cut off date to unsubscribe for December. Not that I'm not interested in makeup anymore, because I am, but I really like the product that Glossybox puts out and, honestly, I don't know what to do with all these makeup bags. I'm actually donating most of the ones that I've gotten as I've been a subscriber since ipsy started and I have so many bags. I only use two of them in my purse so I don't need to keep getting them. I also just feel like I have way more makeup than I need and I've been trying to trim down my collection so having less subscription services will definitely help on that front. 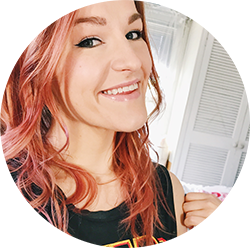 What did you get in your ipsy bag this month? Did we get the same bag? Let me know in the comments!